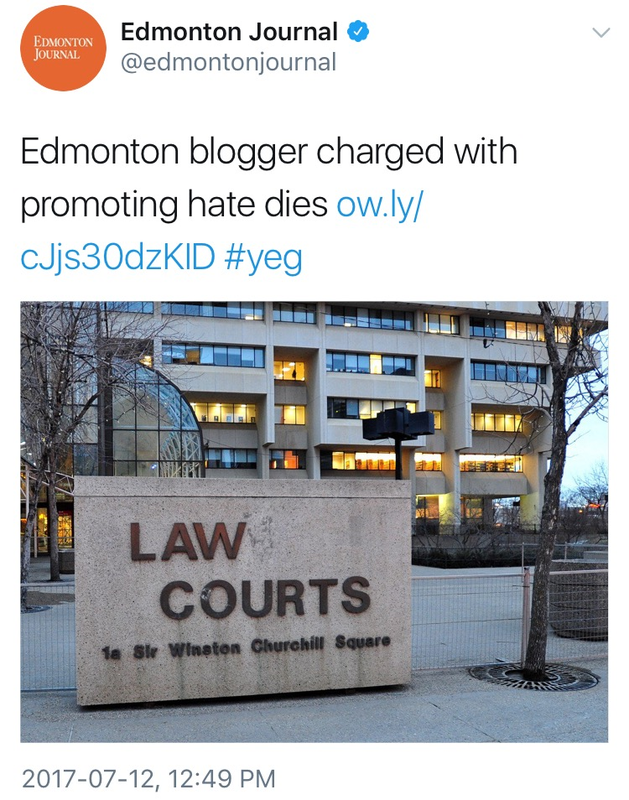 GG seeks more accurate gossip. 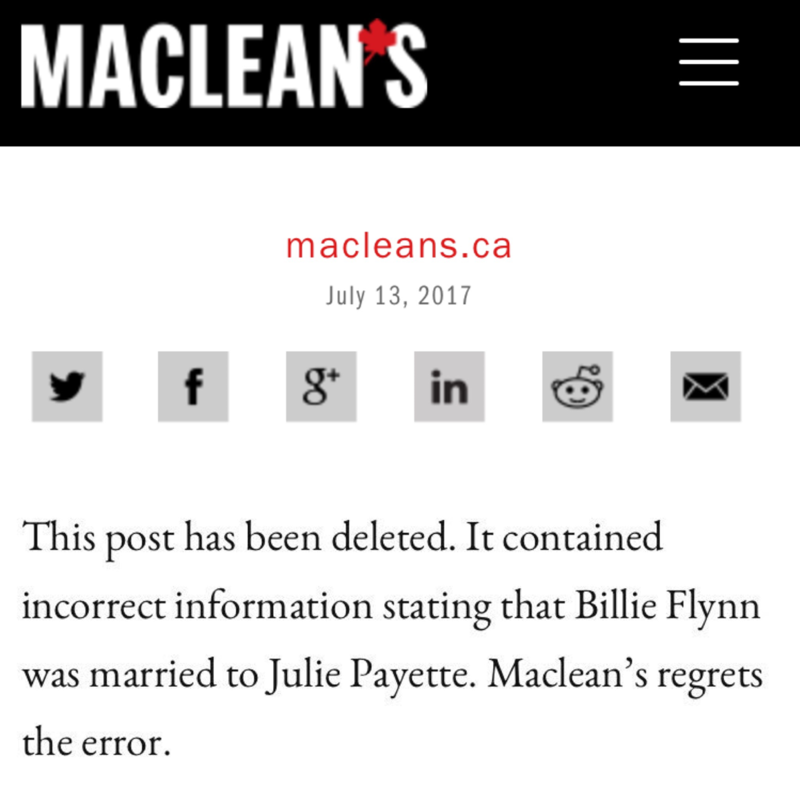 Julie Payette was confirmed as the new Governor General, which got Paul Wells probing the status of the man she was married to: Billie Flynn, a former RCAF lieutenant-colonel who was recently showing off the contentious F-35 at the Paris Air Show. Some clarity on Payette’s marital status quickly cancelled this out. Sears Canada restructuring is a payday for some. Senior management at the retailer's head office will score up to $7.6 million in retention bonuses. Not getting a payout: former planning director Peter Myers, who’s now the spurned face of Sears Canada even as the company struck a compromise over withdrawn health and pension benefits. 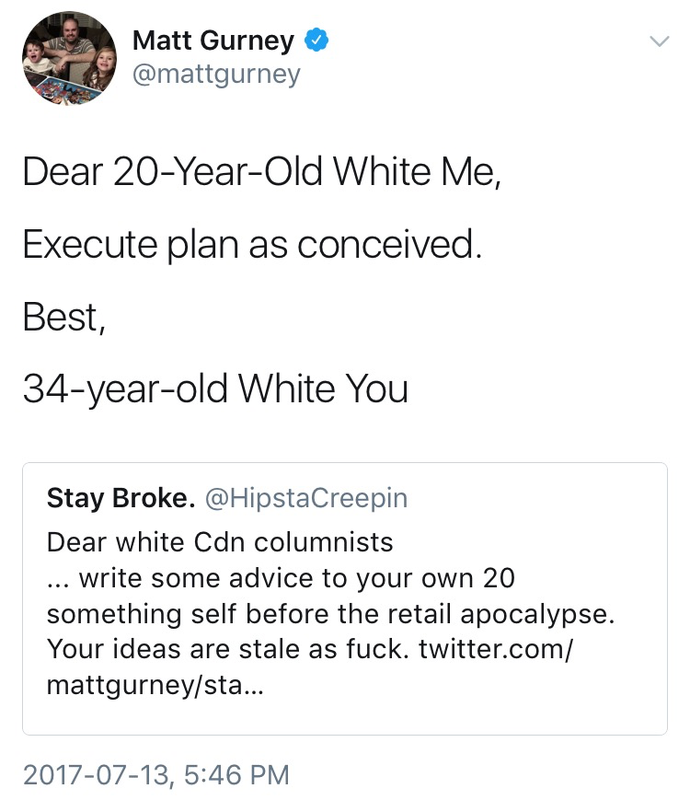 Matt Gurney anoints himself as Toronto’s biggest millennial jerk. The former National Post comment editor, now with AM640 and Global News, struck a few social media nerves by arguing that young people upset that they'll never afford real estate in the city should just move away. Gurney acknowledged his own privilege in the piece, but still fielded accusations that he caused societal trauma. 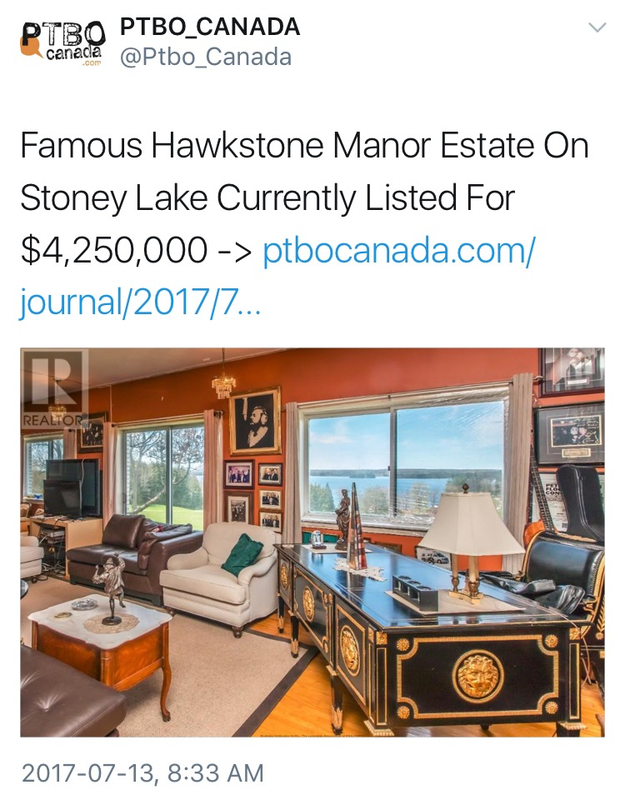 The Hawk’s home is about 70 per cent off. After saying goodbye to the 279 Yonge stage where he once performed (before it becomes a Shoppers Drug Mart), Ronnie Hawkins looks eager to move out of the compound where he’s lived since 1971. Hawkins bragged that John Lennon was once a houseguest (and that Lennon left behind a closetful of clothes), and Gordon Lightfoot apparently wrote “Sundown” while staying on the property. But while the 175 acres were originally listed for $14.9 million in 2013, they're now a bit more affordable. Bruce Cockburn made an album about life in Trump’s America. While he figured he was done writing songs after finishing the 2014 memoir Rumours of Glory, the 72-year-old, who's now settled in San Francisco, has a new single, “States I’m In.” It's part of a new album described as mirroring his adopted nation’s “prevalent urgency and anxious tone.” Still, the track is consistent with classic Cockburn, who is so far failing to live up to a threat a few years ago to start emulating the sound of Norwegian death metal. This style of rabies vaccine will be falling from the sky in the west end next month, in the hopes that raccoons will be attracted to the sweet smell.